I was poking around in Google Trends the other day doing some keyword trend research and discovered a few interesting tid bits of information. I was looking at the historical popularity or the two search terms’ fairy garden’ and ‘miniature garden’ and here’s what I found. The data starts in 2004 and of the 6 most interested nations in the term fairy garden only the United States shows enough interest to have data ranging back to 2004. however the US comes in at only fourth in over all interest.The other five in order of most interest shown in fairy garden and miniature garden and when it started to show is shown below. I all cases fairy garden was a more popular term than miniature garden. So now we know ..all this fairy garden nonsense came from the good ol’ US of A. 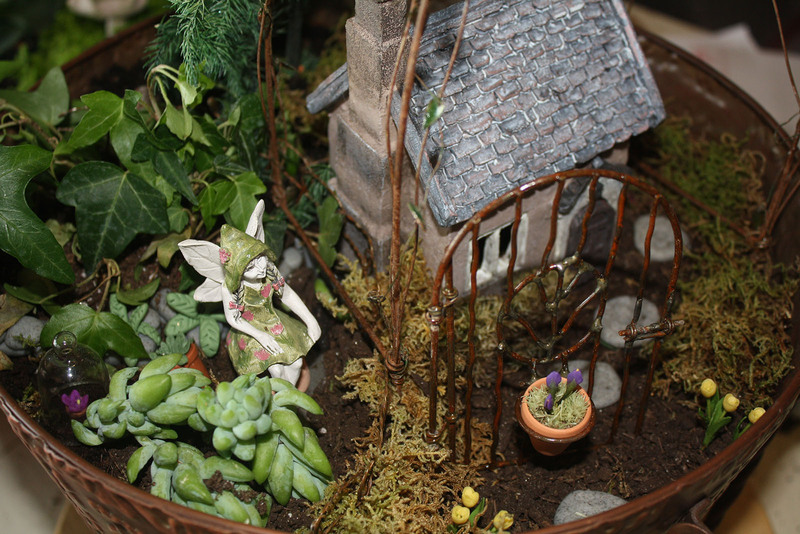 This entry was posted in Reflections and tagged fairy garden, fairy garden beginnings, fairygarden.ca, popularity of fairy gardens by Marthe Hook. Bookmark the permalink. Marthe, I would have thought that Ireland would have been the origin of fairy gardens but then the Irish think fairies are evil. I made my first one beside the sandbox for my grandsons to play with their Hotwheels over a decade ago when I acquired a few garden gnomes from my mother-in-law. Gnomes are in the fairy family and they’ve been around for a while, just not in miniature. I would have thought so too. They seem to be the origin of the legends of wee folk by any means. And as you mentioned, in Ireland, fairies were considered at best mischievous and sometimes evil..being blamed for changelings and what not. Things to discourage faeries would have been the thing..not houses and cute stuff to attract them ..heavens no! Other legends of fairies do not depict them as miniature at all but as life size spirits again being malevolent. But our current fairy garden obsession it seems started as an American past time. Interesting no? Now gnomes..I could learn more about that I think. I read once there was a Hollywood actress in the 1930s or ’40s that built a miniature castle garden beside her mansion and there was a photo of her posing in it surrounded by the walls and castle. The article mentioned she spent time in this garden, arranging and tending the greenery. Wish I could remember more. I do remember she was sitting on the grass next to the castle and the photo was black and white. By her dress and makeup and hairstyle, it was definitely not modern era. Now I am curious to go searching for that photo on the internet again! Hi Izzy – the actress was Colleen Moore and her story of the minature castle and garden is amazing…. Colleen Moore, silent movie star, (50+) made a complete and fantastic doll house filled with small, expensive furniture and decorated walls. She took the doll house on tour with her and later donated it to a museum . She passed away in 1988. Very interesting lady. It is a very interesing story! Colleen built the miniature garden and castle and furnished it with the help and donations from people such as Walt Disney. She did this and showed it as charitable endeavour for children of the poor during the depression. It’s cost in todays currency would be around 6 million dollars! She raised an incredible amount of money for her charity considering that it was during the worst of the depression at the time.